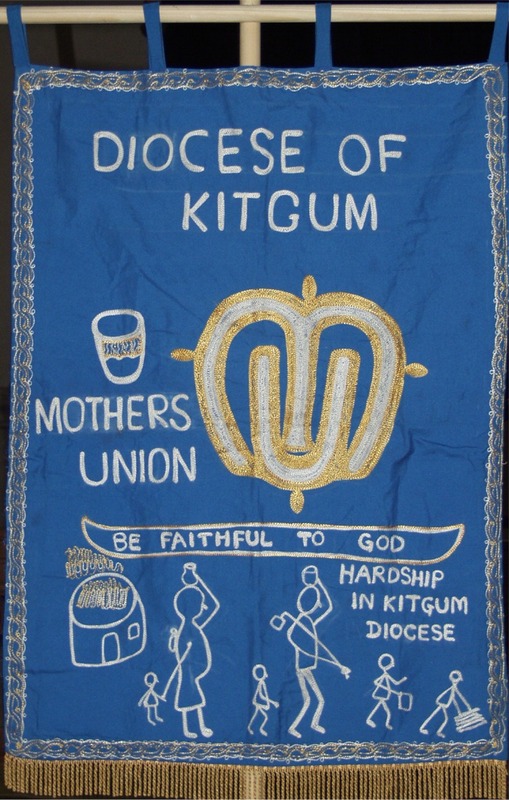 The Mothers’ Union in the Diocese of Winchester (of which I’m currently a Trustee) is linked through the Mothers’ Union Wave of Prayer to members in Kitgum, an area of Northern Uganda that lived for decades under the influence of war between the Lord’s Resistance Army and the Ugandan Army. Those living in Northern Uganda are beginning to rebuild their lives, but this week Kony has been ‘trending’ in social media due to this video, and others (like BBC commentators) have been suggesting it is misplaced and won’t change things among the people affected. In 20o4-5, during the last big peak of media awareness of the Lord’s Resistance Army, and it’s leader Joseph Kony, I spent considerable time sharing in local churches the plight of child soldiers, and those that sought to avoid that fate. The ‘night commuters’ walked miles to the ‘safety’ of towns in Northern Uganda, often to be abused by the Ugandan Army soldiers and others that they thought would protect them, or to fall foul of disease that spread in the crowded yards where they huddled together. Mothers’ Union members in Kitgum wanted to provide a night shelter for these children, and here in Winchester Diocese we successfully raised the funds for them to do this. The shelter was built and used. In 2006 when I visited Uganda, the situation was still too volatile to travel to Kitgum, though I did manage to speak to Mothers’ Union leaders in the region by phone. My colleague was also unable to visit in 2008 but met Mothers’ Union leaders in Kampala, and brought back this information. 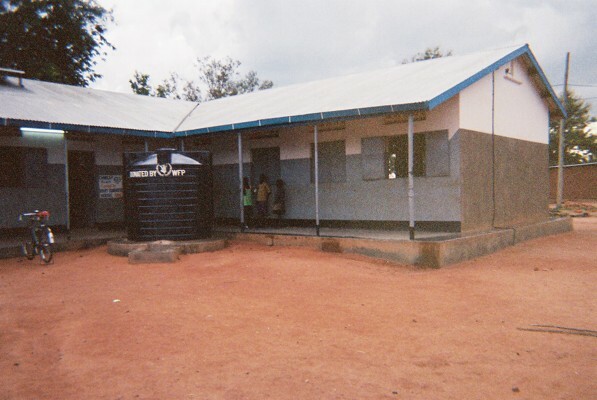 The completed Mothers' Union 'night shelter' in 2006 - it is now being used as, among other things, a schoolroom! Now that relative peace has returned to the region, when we hear sporadic news from the Diocese of Kitgum it is all about the wounds that need healing: children’s lives damaged physically and mentally, communities rebuilding trust, as well as houses, livelihoods, and churches. Amidst this I discovered last week that Mothers’ Union members in Kitgum are planning a conference around Mary Sumner Day 2012 (August 9th) which will use music, “Bible exposition and drama about family life and prayer” to strengthen their Christian faith in such difficult circumstances. This week my teenage son saw the #Kony2012 video, and rather startled his friends by explaining that this was something he’d known about since he was seven! He thought of doing something in school to raise awareness of the issues, but was appalled to find this sort of information today about the group behind the video; he knew full well that all of the money we raised as Mothers’ Union members in 2004 went to build the Kitgum Night Shelter! Tonight I’ve pointed him at The Church Sofa’s excellent post today highlighting the work of War Child, and there’s also this good one from Dean Roberts. If you are moved about the plight of the children of northern Uganda by the current hype surrounding #Kony2012, I would encourage you to support (prayerfully and/or financially) organisations like Mothers’ Union whose members have lived through and experienced first hand the pain of the civil war fostered by Joseph Kony which still isn’t fully resolved in Uganda or in the Democratic Republic of Congo. In this way more good will come from the possibly mis-judged campaign that is currently ‘going viral’ among those who use social media. I had the same – my 12 year old was saying “you must see this mum” and I said – I’ve been seeing the effects of the LRA through my work with MU since I started in 2006. Thousands of pounds of relief fund have gone to Uganda and Sudan (now South Sudan) to help refugees fleeing his horror. Now the more urgent situation is within South Sudan from the Sudanese rebel forces. Let’s trend about that!